Maybe this will take your mind off the latest cold front. 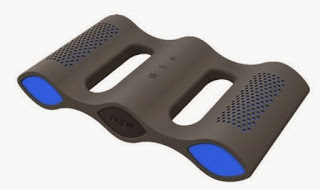 At least two companies will be showing waterproof Bluetooth speakers at nest weeks International CES in Las Vegas. One is the Aqua speaker from NYNE. The Aqua has an IPX7 rating, which means it can be fully submerged for up to 30 minutes in about 3 feet of water. 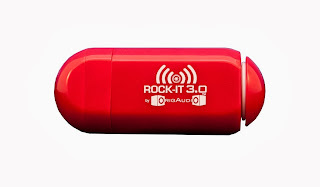 It's designed to float on the surface of a pool or lake while pumping out music from a mobile phone or other Bluetooth device. It also has a microphone, making it useful as a speaker phone, perhaps for conference calls in a hot tub. The Aqua has a list price of about $130. The Swimmer from Boom Movement looks like it could cut through the water like an eel. But its detachable tail doesn't wiggle, it bends, so you can hang the speaker from bicycle handlebars or a belt loop. You can replace the tail with a suction cup an stick the speaker on a window.It also can be immersed in three feet of water for up to 20 minutes. The Swimmer sells for about $60 at Boom's website. Shanghai-based Yuneec is best known for producing the world’s first commercial electric aircraft, the GreenWing430. But at CES, the company will be showing off an electric-powered skateboard. Yuneec says the E-GO Cruiser is the world’s lightest electric longboard weighing 13.9 pounds. It hasn’t yet said how far the E-Go will travel on a charge or how much the board will cost when it’s available in the U.S. The company also will display the FlyingEyes HX3, a civil drone made of carbon materials that can stay aloft for 90 minutes. Moneual, a company best known for its robotic vacuum cleaner, will introduce several new products at the 2014 International CES next month in Las Vegas. Among the more unusual new items is a wristband that parents can wear to link to a baby monitor. 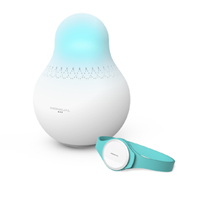 The Smart Wristband Baby Monitor is a specialized monitor designed for the hearing-impaired. It will alert the user by vibrating and flashing an LED light. The wristband uses Bluetooth for short-range communication around the house. Moneual says the main console's sound filtration system is able to distinguish between white noise, such as a TV or fan in the background, and a crying baby. And the console also has a built-in speaker that plays music for the baby or soothes them to sleep. Have you heard about 4K TVs? You’ll be hearing a lot about them in a couple of weeks when the International CES opens in Las Vegas. 4K TVs are the next step in high definition. The screens on today’s typical 1080p high-definition TV boast about 2 million pixels. A 4K Ultra HD TV has about 8 million pixels - or about four times the resolution. 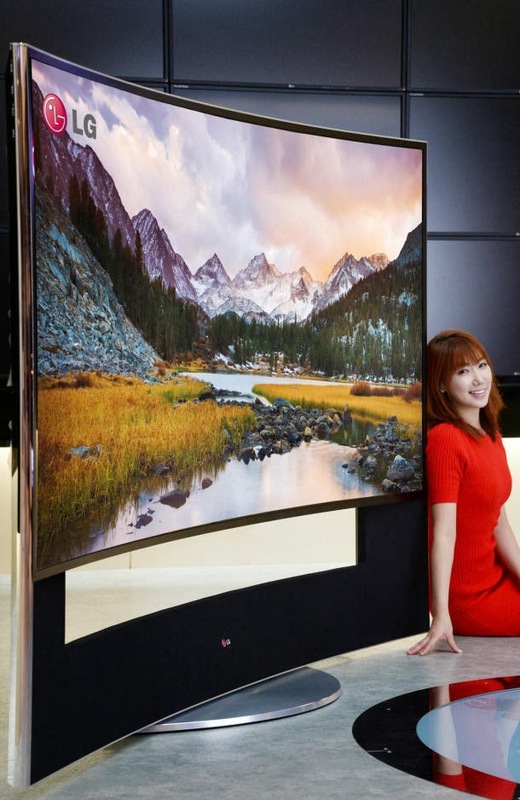 Sony, Samsung, LG and the other top TV makers have been talking up 4K for the past couple of years. At last year’s trade show there were a handful of set on display with high-price tags. Sony’s set, for example, was priced at about $25,000. 4K sets will be all over the 2014 show, which opens on Jan. 7 and some will have prices that are closer to the cost of today’s top TVs. Samsung and LG are also expected to show giant sets that features a curved screen - kind of like an IMAX screen for your home. Both companies have shown a 105-inch curved set, but neither one has suggested what they will cost if and when they go on sale. Sony is also known to by migrating 4K displays to other products, including camcorders, mobile phones and computers. Here’s more on what to expect from the big TV makers in a report from CNet. As in past years, there will be plenty of big-screen televisions, tablets and mobile gadgets to explore when the 2014 Consumer Electronics Show opens Jan. 6 in Las Vegas. But technology is also rapidly moving in to take over more mundane tasks around the house. 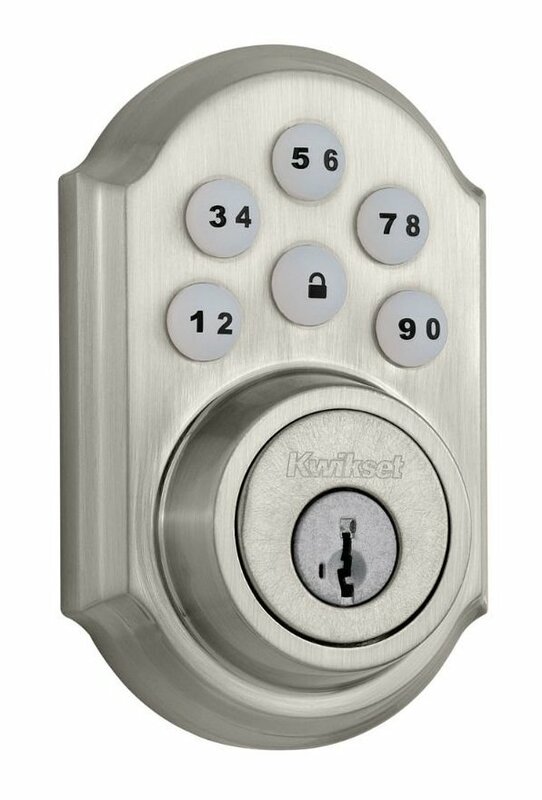 A few months ago, I wrote about the Kwikset SmartCode lock that uses a keypad to open and close a deadbolt lock. You can set a separate code for friends to use and get an upgrade that connects it to a mobile phone. A new twist on the smart lock will be on display this year at CES from a start-up company called August. 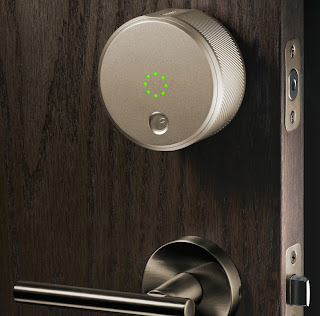 The August Smart Lock works with virtual keys that can be sent to a friend’s smartphone. August recognizes a user’s phone as they approach the home. It verifies their credentials and unlocks the door, all without a physical key. As the owner, you can specify how long the virtual key will be active before it expires and you can disable it at any time. The lock still works with a physical key and can be manually locked or unlocked from inside. The Smart Lock sells for $199 at August.com. You might have seen the Rock-It on TV's "Shark Tank" or some other show. 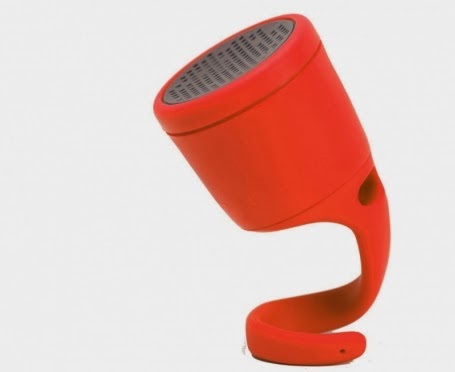 It's a clever gadget that turns almost anything into a speaker. Connect one cable it to a mobile phone, iPod, or some other music device, then attach another to a flat surface and you instantly get a loud boomy speaker. The Rock-It works with any flat surface, like a window to desktop, but it works best with a hollow object like a cardboard box or a plastic beer cup. Orig Audio sells the devices for $19.99 on the company's website. But this weekend you can get two for $15 with free shipping if you use the promo code "1515" at checkout. The offer expires at 12 noon EST on Monday. Oh, there's one catch. The two Rock-Its are red and green. You know, for Christmas. Still looking for inexpensive tech gifts? Check out the list of cool gadgets under $50 at CNet. The Roku streamer and a $25 digital amp are pretty s;lick. 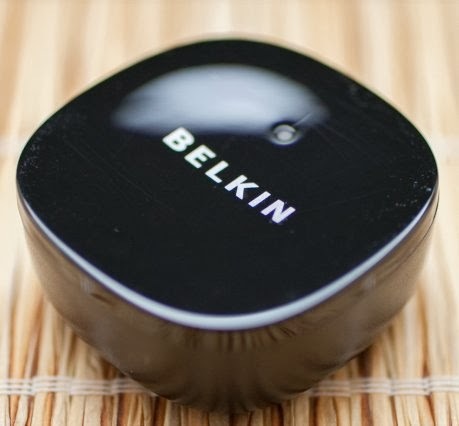 But tell Santa to put me down for the Belkin Bluetooth Music Receiver. It plugs into anything that has speakers and an auxiliary input - your home stereo, powered speakers or an old iPod dock.Then you can wirelessly stream music from any Bluetooth-enabled device such as a smartphone, tablet or most iPod Touch models. I found one at Amazon.com for $24.95. What's new in travel gadgets? My Well-Being's Gadget Guy's latest video looks at gifts for travelers. I've got a TSA-friendly lock, my favorite mobile charger, a travel pillow that doubles as a tablet stand and the Screaming Meanie travel alarm. Feeling nostalgic for the 1980s? 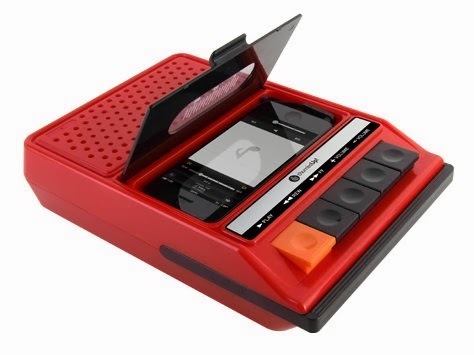 This retro speaker for iPhones looks just like my first portable tape recorder. The compartment that used to hold a cassette tape has been redesigned to holds an iPhone 4/4S or 5. Those buttons on the front are real. They control the Play, Forward and Reverse functions as well as Record. And, the handle slides out for easy carrying! The speaker is called the iRecorder. It's built by ThumbsUp and you can find it selling for $50 at Fancy.com. When the Gizmo Guy goes holiday shopping, he's almost always looking for gadgets and gear and that means you'll likely find him at Best Buy. That's especially true this year when I'll be armed with a couple of special holiday discount coupons. Check the links below to get yours. Why do I like Best Buy? Other stores sell consumer electronics, but in my area, the blue box is the one place where you can compare a wide variety of brands models and prices. Take mobile phones, for example. At Best Buy, you can see and try all of the phones, carriers, plans and accessories in one place. The same goes for tablets, computers and game consoles. I expect Best Buy will be blowing up with he new Xbox and PlayStation consoles and the hottest new games. And this year, Best Buy says it will have more than 100 products that will only be available only through Best Buy, in stores or online at the Best Buy Gift Center. Best Buy has a low price guarantee, so you won't get buyer's remorse if you see a product advertised later at a lower price. Shoppers who prefer browsing online can have free store pick up. And there's always the gift card route to let friends and family get what they want. I've never had the need to consult the Genius Bar in the local Apple store, but I have used Best Buy's Geek Squad when I needed a second hard drive for my portable computer. The geek who helped me was knowledgeable and helpful. He gave me quality advice and didn't seem to be simply trying to sell me more stuff. Now, about those coupons. 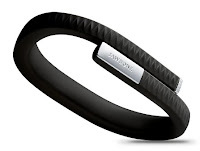 This one will let you snag you 15% off on health and fitness gear like the Fitbit Flex or Jawbone's UP wristbands. It also works with gifts for kids from Fisher-Price or Mattel. This coupon will get you 10% off headphones and portable speakers, like the Ultimate Ears that wrote about a couple of weeks ago. 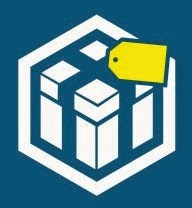 The coupons are good in stores or at BestBuy.com between Dec. 1 and Jan. 18. I'm ready for Coin, the all-in-one electronic credit card. The gadget emerged from a California start-up incubator yesterday and quickly hit its target of raising $50,000 from pre-orders. Coin is not a coin at all. It's a plastic card that's the size of a credit card. Working with an Apple or Android smartphone, it stores the details about multiple credit and debit cards. Once it's loaded, you can leave your cards at home and pay with the Coin. A built-in display lets you choose which account to use - your home debit card, your business credit card, or your favorite loyalty card. The device works with card swipe readers and ATMs. That convenience will cost you $100 when Coin begins selling the cards sometime next year. For now, you can order one for $50 Onlycoin.com. I finally figured out what I'm supposed to put in those square thigh pockets on cargo pants. An iPhone gets lost in those pockets and they're too small for an iPad Mini or Google Nexus tablet. 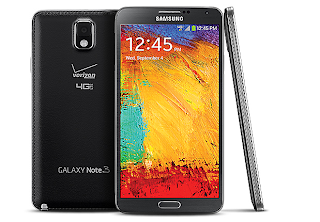 But Samsung's new Galaxy 3 Note seems to be right at home. The third generation of Samsung's popular Note targets the sweet spot between a large mobile phone and a small tablet. Yes, it can make calls on the major carrier networks, if you don't mind being seen with a outsized slab held to your ear. But it also delivers a welcoming platform for movies and TV shows on a 5.7-inch screen that tops the quality of Apple's best mobile displays. If you liked the previous Note - or any of the oversized "phablet" phones, the new Note will please you even more. It has a paster processor, more memory and longer battery life. And, Samsung continues to improve its stylus and note-writing software. I thought I was done with stylus writing when I moved on from my Palm V PDA. But Samsung's S Pen system could win me back. 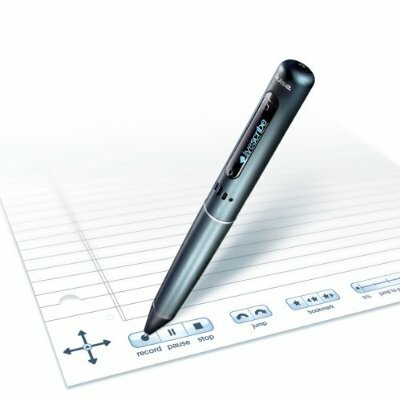 The stylus tucks into the bottom of the phone and when you remove it, you get a block of commands that take you to various pen functions. You can tap a selection or let the pen hover over the icons to review your options. Scribble a note and the software lets you do something with it, like file it in a scrapbook, send it to Evernote or add it to a to-do list. I wrote a phone number in my ugly scrawl. The program turned it into text and asked if I wanted to dial it or create a new contact. It all worked smoothly. I don't know if I'm ready for an oversized phone (I may need more cargo pants). But when I am, this looks like the one to get. 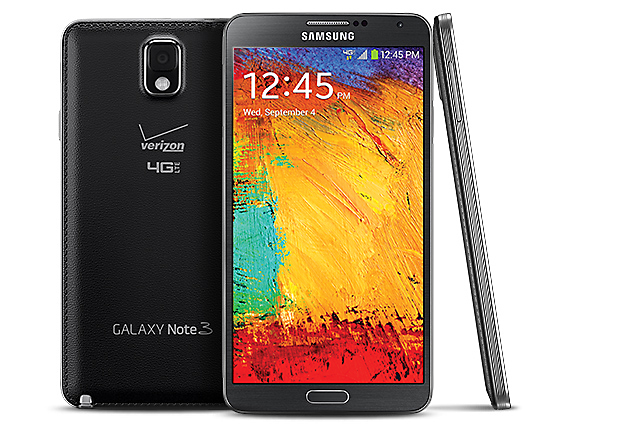 Verizon sells the Note 3 for $299 with a two-year contract. 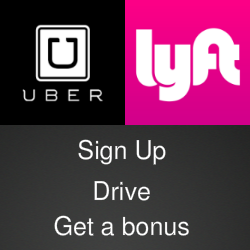 We were finishing coffee and dessert with my nephew at a restaurant in Washington's DuPont area and it was time to consider our options to get back to our hotel.It was a good opportunity to check out Uber. 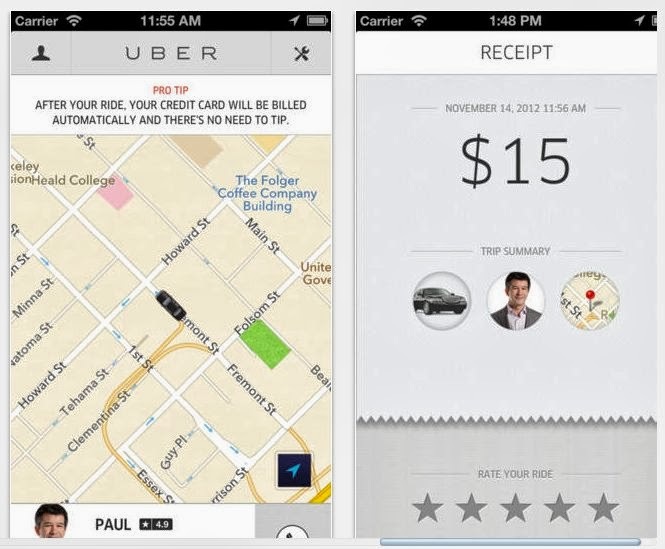 Uber is a company that provides on-call car rides in 26 cities in the U.S. and 20 more in Europe and Asia. Strictly speaking, Uber cars aren't taxis. They are privately-owned vehicles that operate under a city's rules governing limousines, not taxi cabs. But they compete with taxis on price and convenience. Fans of Uber's service say it's more accessible, reliable, comfortable and convenient than a traditional taxi ride. We got a new Toyota sedan, a friendly driver, a reasonable fare billed directly to my credit card and a receipt on my phone that included a map of our route. 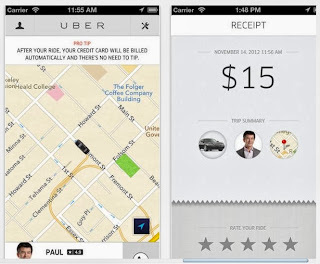 Read more about Uber in my column for MyWell-Being.com. If your entertainment room has a TV, stereo system, DVD player an other equipment, you probably also have a stack of remote controls. in my house, we keep a basket on the coffee table just to collect remotes. But that was before the arrival of the Harmony Ultimate Remote. This new remote from Logitech can replace almost any remote and squeeze multiple remotes into one. 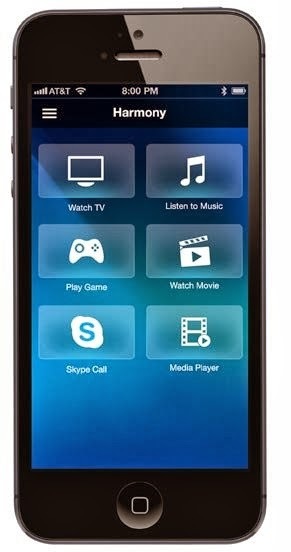 Logitech says the remote will control of up to 15 devices and will work with more than 5,000 brands and 225,000 devices. You have to do a little groundwork to start. First you make a list of the brand names and model numbers for the devices you want the Harmony to control. Then plug the Harmony into your computer, enter the list and you're ready to go. you can select each device to control it separately or set up functions for the things you like to do. For example, you can compress three steps -- turn on the TV, the stereo and the DVD player -- into one function called "Play a DVD." The remote will also tune your television or radio to your favorite channel. Here's one more trick that I like. 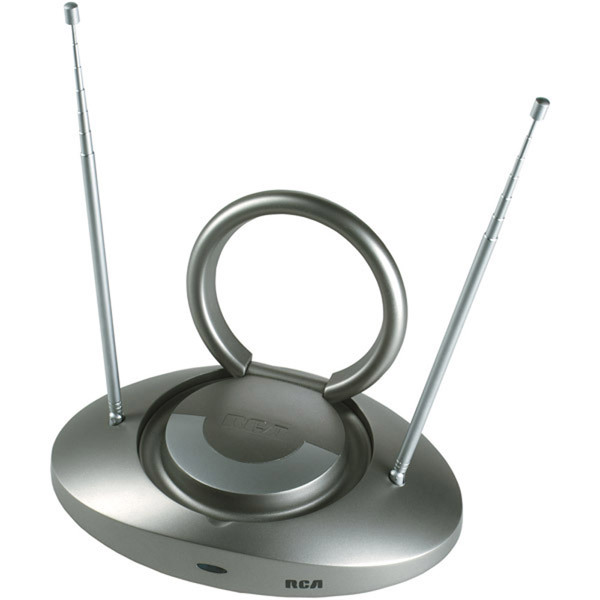 The Harmony Ultimate works with a hub device that can also communicate with Apple or Android smartphones. With Logitech's free app installed, everyone in the house can have their own personalized remote control. The Harmony Ultimate costs about $300 at Amazon.com. 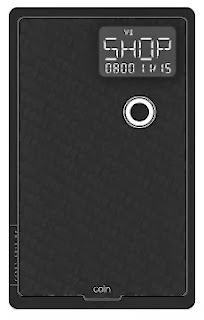 That makes it one of the most expensive universal remotes available. But it's also one of the most versatile. My dog's especially happy when he's running through an open field. I do just fine sitting on the sidelines with a cold drink. Now I have something that keeps us both entertained. The Go-Go Dog Pal is designed to give a dog plenty of exercise while you take it easy. The Dog Pal is a radio-controlled vehicle, like the four-wheel tricks and other remote-controlled toys. But this one has a larger frame than most RC cars. 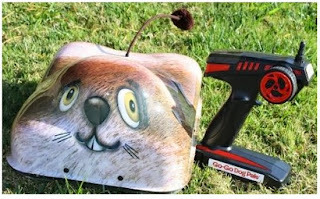 And it's encased in a sturdy plastic cover that conveniently looks like a grinning woodchuck . My guy sniffed the robocritter, jumped back when he moved, then set off in hot pursuit when Chuck started to roll. It was pretty easy to keep the Dog Pal out ahead of the posse. On a smooth, flat surface, it can hit speeds up to 22 miles an hour.That's fast enough to outrun even an Australian Shepherd. The Dog Pal survived a couple of flips and minor collision with a tree. But I learned that it's not indestructible and it works best on open ground, away from obstructions. Go Go Dog Pal costs about $230 at amazon.com. That's certainly not cheap. But the rule in our house is, nothing's too good for the dogs. Here's a YouTube video that shows the critter in action. Have you ever overslept and missed an early-morning flight or an important meeting? I've found the cure for heavy sleepers. It's called the Screaming Meanie and it will blast you out of bed with the power of an air raid siren. 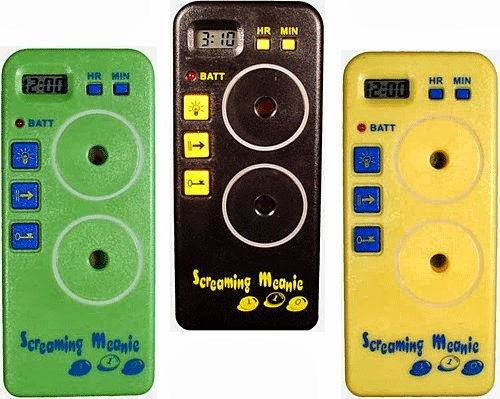 The Screaming Meanie is a battery-powered clock combined with an adjustable high-volume alarm. For lighter sleepers, set it at 70 decibels. That's comparable to a dog barking. To wake the dead, choose 120 decibels. That's like great seats at a Kiss concert. The Screaming Meanie can also be a comfort when you're sleeping in an unfamiliar place. The alarm can scare away an intruder or be your call for help. 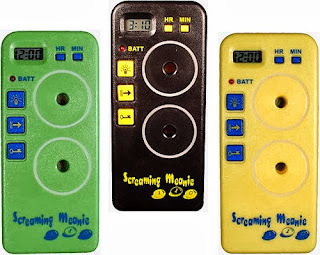 You can find Screaming Meanies in a variety of colors for about $35 at amazon.com and other online sources. With music collections packed into our portable devices and streaming service offering made-to-order mixes, wireless Bluetooth speakers have become our sound system of choice. They're more portable, convenient and often less expensive than cradles or plug-in powered speakers. But a frequent complaint about wireless speakers is they're not powerful enough. Just two of you relaxing on the back porch? Just about any wireless speaker will keep you entertained. But if you're at the beach, around the pool, at a park or a party, you need something with a lot more muscle. I think the folks at Logitech may have solved that problem with the Ultimate Ears BOOM. Built in a tube-shaped case that's about he size of a tall soda can, the BOOM is durable and easily portable. And, boy, can it crank up the volume. This is the loudest and clearest of any Bluetooth speaker that I've tested. 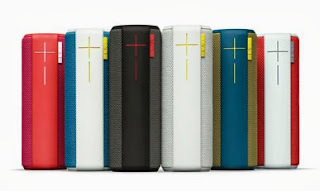 UE says the speaker has a maximum volume of 88 decibels, about as loud as a motorcycle or a power mower. If that's not enough, a free UE app lets you link a pair of BOOM speakers, with stereo on each or splitting the left-right channels. The speaker was easy to pair with both my mobile phone and my tablet and its rechargeable battery is designed to last up to 15 hours between charges. I also like it's convenience. It comes with a small metal loop that can be attached to a clip or cord. It's size also makes it an easy fit for the bottle holder on a bicycle. 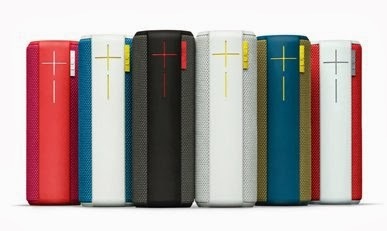 The BOOM speaker costs $199 and can be ordered in a variety of colors from amazon.com or from the Ultimate Ears website. My friend Richard Meadows looked at a four-room shotgun house in Louisville's Portland neighborhood and saw something no one else would see: a site for the city's first hacker hostel. 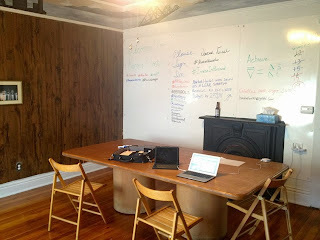 Richard and his wife, Suzi, renovated the house, adding some special touches including a five-foot conference table, a wall-sized whiteboard, two sets of bunk beds and a Wi-Fi network. Oh, and the wall outlets have USB ports for charging cables. Hacker hostels have popped up in other cities, including several in the Silicon Valley area. Meadows sees the house as a place where coders and entrepreneurs could gather for meetings and coding sessions and give out-of-towners an inexpensive place to crash. The Louisville hostel was profiled in this week's LEO Weekly and in an post at Insider Louisville. Two computer stores in the same mall. One had five or six customers, the other was jammed with people. You can probably guess which was rocking and which was chilling. It was a little before 5 p.m. last Friday when I found myself at the Pentagon City Mall near Washington, D.C. With some time to kill, I was delighted to discover that the mall was home to both an Apple store and the more rare Microsoft store. I hit the Microsoft store first. It looked familiar. There were big square tables with displays of phones, computers and accessories. Peppy young people in bright t-shirts were answering service questions and putting merchandise in trendy-looking blue logo bags. Where had I seen all that before? Maybe it was one floor up at the Apple store. It also had tables displaying phones and computers and it's own cadre of earnest people answering questions, demonstrating products and putting items in white logo bags. Except there were lots more sales people and customers in the Apple store. The Pentagon City Apple store was just like others I've visited in Louisville, Paris, Chicago and London. When have you been in an Apple store that wasn't jammed? Of course, Apple was just coming off its big fall iPhone announcement. And I wasn't surprised that I to wait my turn to fondle the "unapologetic plastic" case on an iPhone 5C and see if the gold iPhone 5S felt any different than the plain black 5 in my pocket (it didn't). But Microsoft also has new products to promote, especially the Surface 2 tablet that runs a mobile version of Windows 8. A couple of people were test driving the tablets, but no ones were jostling to get their hands on one. And a nearby table holding different models of Microsoft's phones was completely deserted. Most of the action in the store was in a back corner where a young couple was an Xbox soccer game on a big screen monitor. That's too bad. I thought the tablet and the phone looks and function very nicely. And the price tags were much more attractive than the ones on the tablets and phones one floor up. But not attractive enough to get me to buy one. In the end, I left the mall with one new piece of equipment, a charging cable from the Apple store. The best part of that transaction was getting my receipt by email and an agreement from the sales woman that, yes, $19 is an outrageous price to pay for a [pair of plugs and a meter of cable. When I first went looking for a device to stream movies and music from the Internet, there were two major options to choose from: a Ruku LT box for $50 or Apple TV for $100. 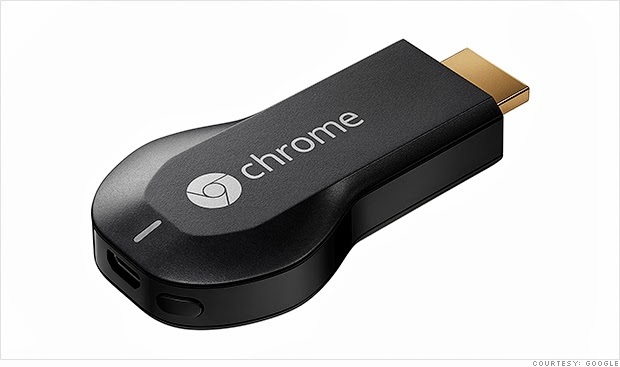 Now Google has entered the mix with Chromecast, a gadget the size of a thumb drive that plugs into a TV's HDMI port. It checks in at an eye-catching $35. I've spent some time with all three streamers and I can tell you they are not all equal. There are pretty good reasons why their price tags vary as much as they do. First, let's look at the technical specs. All three support high-definition images, but the Ruku delivers 720p while the Apple and Chromecast do HD at 1080p. All three work with Wi-Fi, but Apple TV also has a jack for an Ethernet cable. You get a remote control wit the Roku and Apple TV, but not with Chromecast. 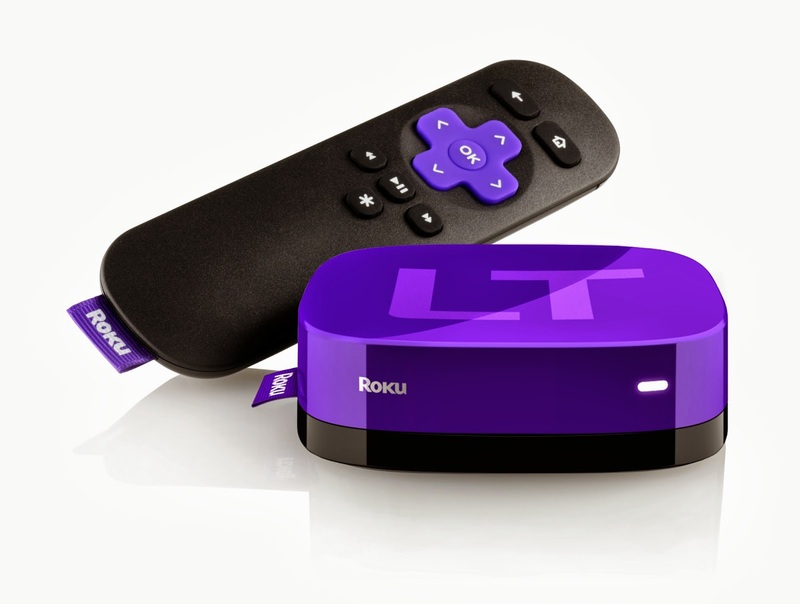 Roku: Amazon Instant Video, Hulu Plus, HBO Go, Pandora, Spotify, Vudu, NHL and Major League Baseball. 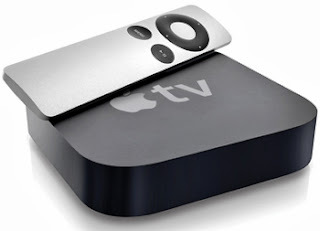 Apple TV: Hulu Plus, HBO Go, YouTube, Watch ESPN, Vimeo, NHL, NBA, Major League Baseball and anything from iTunes. Chromecast: YouTube and anything from Google Play. Yes, that Chromecast list is rather short. But it will also stream anything you call up in the Chrome browser on your PC or Mac computer. It doesn't work with the mobile version of Chrome. Not even the one for Android devices. Not even the one on Google-brand tablets. If you're mostly interested in streaming Netflix and YouTube, the Chromecast is a great deal at a great price. And I expect it to add more services in the future. If you're an iPhone and iPad user, the Apple TV makes a lot of sense. In addition to the branded services, it will also work with varios apps and it will stream movies and music stored on your computer. The Ruku, with a good lineup of services and an affordable price tag, falls somewhere in-between. When my wife travels, she takes along one of those horseshoe pillows that wrap around your neck. Good for a nap on the plane, but a bit of hassle to carry around. I found a product that can be both a pillow and a stand for my iPad or Kindle reader. The iProp looks like a squishy oversized softball. It has a flat plastic panel with a notch for your tablet. The beanbag pillow inside lets the iProp work as a stand on almost any surface. It will adjust to fit an airplane tray table, the center console in a car - or even your lap. The nylon pouch has a zipper opening, which is great for stashing earphones, a screen-cleaning cloth or other small items. And, when I'm finished watching a movie on my tablet, the iProp becomes my pillow for an in-flight nap. 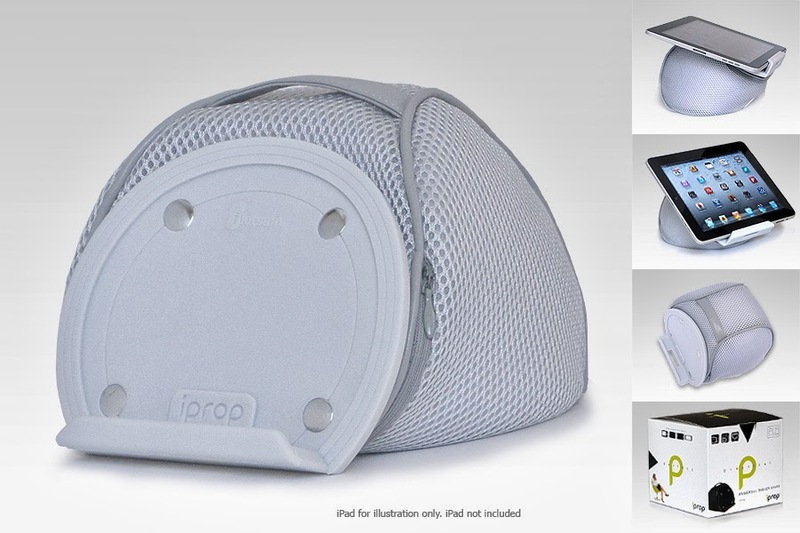 You can find the iProp in black or gray for about $25 at amazon.com. One of the more intriguing new products that I saw at the Consumer Electronics Show last January was the Winbot 7, a robotic window washer made by Ecovacs. The device clings to a glass surface using vacuum suction to defy gravity. It crawls around the window surface scrubbing away with soft cloth pad that you spray with a cleaning solution. When it has the entire window covered, it beeps out a little tune when has everything covered. The Winbot looked pretty impressive in the demonstrations I saw at CES. Earlier this month, I had a chance to try it on my own windows and the results were quite satisfactory. The Winbot works best on large open windows. It cleaned the standard-sized double-hung windows in my home, but getting the Winbot in position to do its work was almost as much of a chore as cleaning the glass myself. The Winbot's $400 price is a little on the high side, but I'm sure some people would pay just about any price to avoid window-cleaning duty. 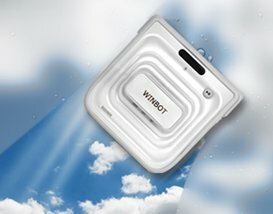 You can find the Winbot online at RobotShop.com. 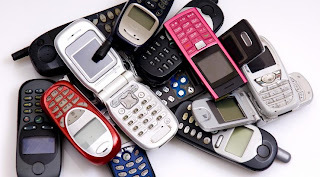 What to do with that old mobile phone? Thinking about getting a fancy new cell phone? Check your service contract. If it's more than two years old, you may be entitled to a new phone for a small fee or even for free, depending on the brand and model you choose. And your current phone could be worth a few hundred dollars that would help cut the cost of a new one. Even an old phone stashed in a drawer could have some value. Mobile phone manufacturers, service providers and vendors all have programs that let you swap your present phone for a better one. And even if your contract hasn't expired, you might still be able to trade up. Apple recently launched a trade-in program at its Apple stores. Bring any older iPhone to the store and an employee will determine the trade-in value of the phone and offer you a deal on a new one. Other services will evaluate your phone and offer you a price on their websites. For links and more ideas, check my latest column at MyWell-Being.com. When a pet wanders away from home, you want it to be found and returned as quickly as possible. 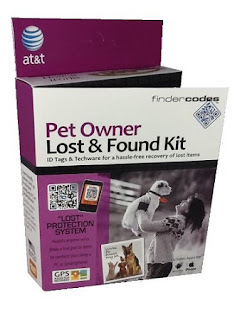 This lost and found kit from FinderCodes can help. Findercodes uses tags that display QR codes. Those are the blocks of squiggles that you can scan with a cell phone camera. The kit comes with three plastic tags that can be customized just for you. Set up an account on the FinderCodes website, enter the code number from each tag and your contact information. 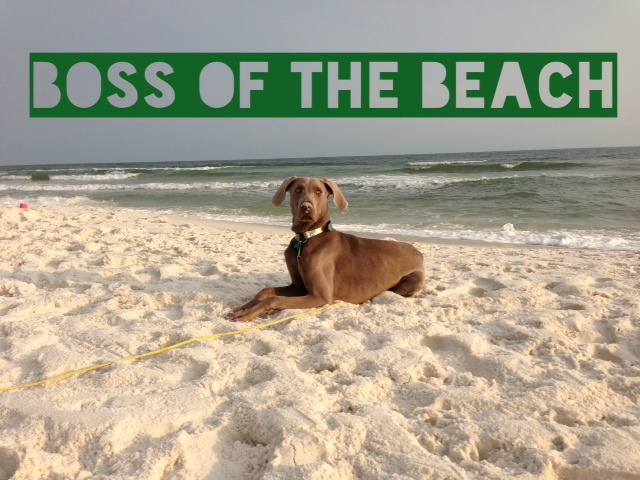 When someone finds your lost pooch, they scan the tag and you get a text message and an email. You get a map showing the spot where the tag was scanned. When the finder calls, you can make return arrangements. You can include optional information about your pet, including a vet's name and phone number or any special food or medicine needs. And you can offer a reward, if you wish, using PayPal. The FinderCodes come three to a pack. In addition to tagging pets, you can also use them on luggage or put one on your key ring - anything that might get misplaced. You can find a FinderCodes kit at Target stores for about $25. It's not that I've fallen out of love with my iPhone 5, but you could definitely say the thrill has worn off. I keep getting distracted by new Android phones that are lighter and thinner with larger and brighter screens. 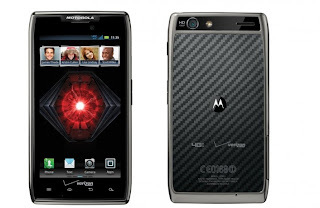 The latest object of my flirtations is the new Droid Maxx from Motorola and Verizon Wireless. http://www.verizonwireless.com/b2c/device/smartphone/droid-maxx I've been around the dance floor a few times in the past with Moto phones. The original Razr phone was a hottie and the first Droid was a solid and reliable companion. The Maxx has two features that immediately catch your attention: a long-running battery and bright, gorgeous screen. Motorola says the battery will last for 48 hours of mixed uses, meaning phone calls, videos, games and other data-crunching activities. In drain tests performed by testing labs, the Maxx scored better than it's primary competitors, including the HTC One and Samsung's Galaxy S4. That should make it appealing to road warriors - or mobile Netflix addicts. The beefy battery makes the Maxx only slightly thicker and at 5.9 ounces, a little heavier than those other Android phones. With a black surface of Kevlar fiber, the phone has a solid and serious feel to it, without feeling heavy or bulky. And, about that screen. It's 5-inch high-definition OLED display that delivers rich colors with deep blacks. The 720p resolution is just fine for either videos or text. The Maxx also scores points for having a camera that is incredibly simple to use and for including a feacure called Active Display that causes the screen to flash softly when e-mail, text messages or calls arrive. You can touch and hold an icon in the center of the screen to get more information without having the phone completely wake up. One thing that may make you think twice about going steady with the Maxx -- it's not a cheap date. While other high-end Android phones like the HTC One, the Moto X, or the Galaxy S4 can be yours for $199 with a two-year contract, the Maxx costs $100 more. When I packed off to college - and that was more than a few years ago - my collection of high-tech gadgets was pretty small. 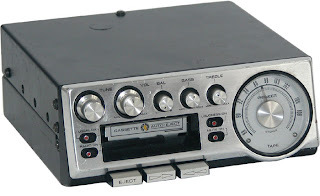 I had a portable typewriter, a reel-to-reel tape recorder and a transistor radio. Students today are better equipped than the Apollo astronauts. In my area, even some middle school students are getting outfitted with laptop computers. Instead of lugging heavy backpacks stuffed with hardback text books, they carry a svelte little Chromebook and go online to read digital versions of textbooks and study aids. I got to thinking about what I would take along if I were going back to campus today.Of course, there would be a portable computer, one that would work just as well in my dorm room, at the library or my favorite coffee stop. What else? Maybe the Livescribe Sky Wi-Fi Smartpen that captures audio and turns my scribbled notes into text. To see what else is on my list of gadgets for the well-wired student, check out my column at MyWell-Being.com. What's brewing in Google's secret lab? 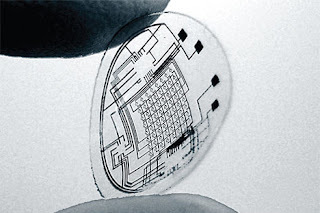 An integrated circuit on a contact lens. Love 'em or hate 'em, you have to admit that Google has done some pretty remarkable things. I mean, who doesn't love the idea of a driverless car? I saw that in Popular Science magazine in the 1950s -- and in a lot of science fiction movies ever since. I'm also impressed by Google's Loon project. It would use a fleet of high-altitude balloons to bring Internet access to remote areas. And then there's Google Glass, the high-tech specs that incorporate a computer, a digital camera and a floating heads-up display. 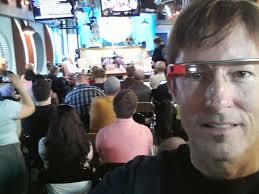 It's Glass that's getting lots of media coverage - and cranking up a public debate over privacy and safety issues. Reports last week said Britain is about to outlaw driving while wearing Glass. "The goal is not glasses. Glasses, clearly, are just a bridge to the goal. And that goal may be to embed a computer in your eyeball." Well, beam me up, Scotty. That's a warp-speed jump from today's Glassholes. I started picturing a world where the London coppers would be equipped with a Voight-Kampff machine, the eyeball scanner Harrison Ford used in "Blade Runner" to detect replicants. How did Arnold come to that conclusion? The trail he followed started with some of the scientists and engineers that Google has hired to work at the R&D lab Google calls Google X - or sometimes Google[x]. The head of the Glass project is (or was) a scientist named Babak Amirparviz who wrote a paper for a scientific conference that described how electronic devices might be embedded in a contact lens. He also quoted a newspaper article that said one of the other X scientists met Google co-founder Larry Page in 1998 "and they talked about how cool it would be to have a computer in your eyeball." Those are intriguing connections, but they don't exactly prove that Google is working on an eyeball computer. I'm hoping Arnold keep digging and find out more about what's going on behind the X. What do you need to disconnect from cable? We’ve always been of two minds about cable. We love its convenience and variety but we hate the ever-increasing cost and all those channels that we never watch. And we're not alone. A recent survey of U.S. cable subscribers conducted by CouponCabin.com and Harris Interactive found that almost half of the adults polled believe cable TV is a waste of time. More than half said they would cancel their subscription if they had a suitable alternative. So, what do you need to disconnect? Start with a simple "rabbit ears" antenna. The airwaves are filled with digital channels, many of them in high-definition. Digital broadcasting and it works just like the TV we had before cable arrived. In fact, with digital broadcasts, it now works much better. If you have a digital TV, as most flat-screen TVs are, just plug in an inexpensive "rabbit ears" antenna and you can pull in pristine high-definition signals from the major network stations in your area. That's fine for live sports, local news, and current shows on the broadcast networks. But what about "Mad Men," "Duck Dynasty" and your other cable favorites? I have some tips in my current column at MyWell-Being.com. I'm usually very careful with my cellphones, except for that time I left one outside for about six hours, overnight and in the rain. After its long bath, I dried the phone as thoroughly as I could. It carried on for a few days, but eventually stopped charging and I had it replaced. 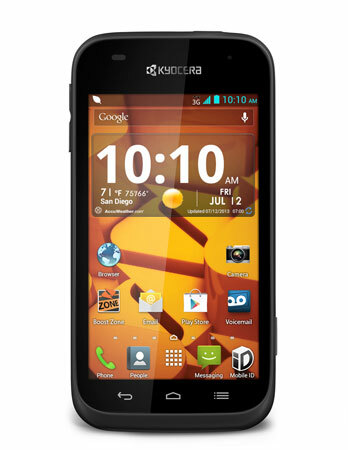 If my phone had been the new Kyocera Hydro Edge, it would have toweled off and gotten back to work. At least that's what Sprint and Boost Mobile are saying about their latest Android offering. The phone has a waterproof rating of IPX5, which means it's good to go in the shower, in the rain, dropped in a puddle or even submerged in up to three feet of water for up to 30 minutes. That's fresh water they're talking about, not saltwater, cola or a gin and tonic. Also, the Hydro Edge is not a particularly rugged phone. It has a pop-up battery cover and a fairly ordinary plastic case. I don't know how they made everything waterproof. Boost and Sprint have sold other waterproof phones from Kyocera, but this is the first time the carriers will offer one without a contract. The phone has a 1-GHz dual-core processor, a 4-inch scree, a 5-megapixel camera and the latest version of Android Jelly Bean 4.1. For details on service plans, check Boost Mobile or Sprint. In our rush to convert everything on paper into a digital file, I've been seeing more types of portable scanners. Last year, I wrote about the IRIScan Book 2, which works like a wand passing over page in a book or magazine. 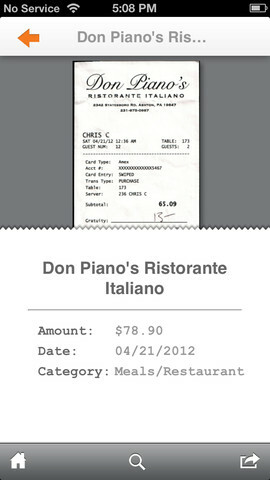 And I checked out the Neat Receipts scanner that's designed to capture documents like business cards and sales receipts. Now comes the Air Copy from Ion, a compact wireless scanner that's perfect for quickly capturing batches of photos. The scanner has a rechargeable battery and a built-in Wi-Fi transmitter, eliminating the need for cables or power cords. 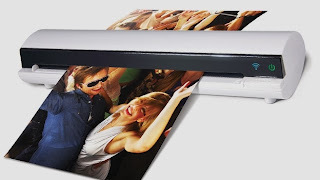 The scanner is meant to be paired with a portable device such as a smartphone or tablet. Ion has free apps apps for Apple or Android smartphones and tablets plus one for Windows 8 devices. Once the two gadgets are linked, any snapshots fed into the scanner are captured in a few seconds and stored in the photo gallery on the phone or tablet. From there, you can post a photo on Facebook, send it by email or upload it to cloud-based galleries or storage services like Picasa or Dropbox. The scanner's slot if wide enough to accept an 8x10 photo or an 8.5x11 document. Scan quality is 600 dpi, which is pretty good for a portable scanner and sufficient to produce a readable document. Another nice feature is the digital images are automatically cropped to the edge of the photo. My only disappointment with the Air Copy is it won't scan photos done on thick paper, which rules out many old photos and postcards. You can find the Ion Air Copy for $179 on Verizon's website and other online sources. Louisville's Matt Coddington, the founder of MyMobileVille, is among the 8,000 people who were allowed to purchase Google Glass after pitching Google with an essay on how they would use the device. Lately, he's been giving the local press a tour of his new toy. In today's Louisville Courier-Journal, Coddington gives reporter Matt Frassica a tour of his new specs. "As he walked down Main Street from the Humana building, Coddington nodded to curious passers-by, looked up directions to Jimmy John’s, and sent a text message to his wife — all without pulling out his phone or diverting his eyes from where he was walking." Glass is a wearable computer that puts a transparent screen hovering in your field of vision, kind of like a smartphone that’s always at the ready. If he wants to look something up, all Coddington needs to do is tilt his head up and say the words “OK, Glass.” The screen comes on, hovering like a hologram before him. From there, he can run a Google search, look up directions, send a text message or take a photo or video — all controlled using his voice and touch gestures on the glasses’ frame. If he receives a text message or has a meeting coming up, the screen lights up and a tiny chime sounds, although only he can hear it. Glass looks futuristic, with a continuous band of steel across the top and a thick right arm that holds the computer, a small camera lens, and the prism that contains the screen. It comes in black, gray and white, but Coddington chose a bright orange color called tangerine. You can read the full story (until the newspaper puts it behind its paywall) at Courier-Journal.com. There's another report online at the Louisville BizBlog and a video at WHAS11.com. The people at The Neat Company are on a mission to banish document clutter. They started with NeatDesk, a $400 desktop scanner that would read and categorize all sorts of documents, from bills and invoices to restaurant receipts. 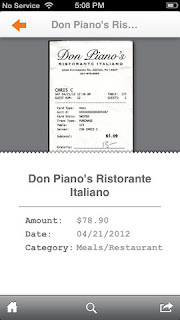 Last year, they released NeatReceipts, a $175 portable version made for scanning receipts on the go. Now they have made capturing receipts and business cards even easier by upgrading the free NeatMobile app that puts a scanner and OCR capability on your iPhone or Android device. With the mobile app, you can take a picture of a restaurant receipt and Neat will identify the restaurant name, the date and amount charged and assign the data to an expense category. It will do the same trick with a business card. If the app's built-in OCR program doesn't get everything right, you can trigger NeatVerify, which will submit your image to Neat's staff of human editors who make sure the captured text is correct. Where does the text and images go? Neat stores everything in its NeatCloud where it's accessible from any computer browser and where it is merged with data collected through other Neat products. Importing data from other cloud services, such as Dropbox or Evernote, is an option. Unfortunately, I could find no easy way to export data from a scanned business card to Outlook or Apple Contacts. While the app itself is free, the cloud and the verify services aren't. After a 30-day free trial, NeatCloud costs either $14.99 or $29.99 a month, or slightly less if you pay for a full year. Having your scans verified costs one credit and you can get 30 credits for $4.99 a month. The maxim "One size fits all" never did apply to headphones. I have a Bluetooth set for dog-walking, an over-the-ear model for quiet music listening, and a noise-cancellation version that I always take along when I fly. 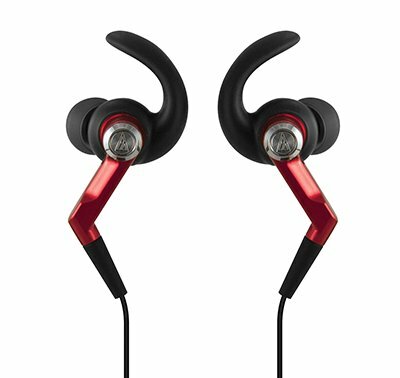 Now, thanks to Audio-Technica, I have a new sporty set of in-ear phones that are perfect for more active pursuits, like running, biking or workouts at the gym. The SonicSport ATH-CKP500 are especially designed to stay put in your ears, even when you're working up a sweat. Instead of an earlobe hook, these phones use a shorter C-tip that nestles in the outer ear to hold the earphones in place. The phone's cable also sits in an angled tube that directs them behind the neck. That helps keep them out of your way when you're using your hands. The phones are also IPX5 certified waterproof. That means you can wash them after a workout, but don't wear them underwater. The SonicSport phones have a list price of $75 but you can find at amazon.com and other online sources for about $10 less. Like many families, my parents had amassed a large collection of family photos. By the time that collection was passed on to me, they had filled 23 albums with something close to 8,000 photos. And that didn’t count the boxes of negatives and 35mm slides. Then it was my task to figure out how to share the photos with family members and distant relatives scattered around the globe. That means getting the photos converted into digital images along with some of the slides and possibly the negatives. I got started on the job using my home scanner, but to finish the work, I'm going to need professional help. 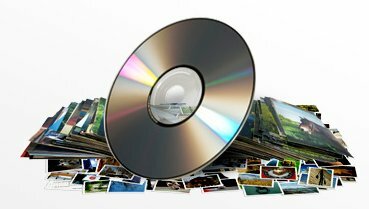 Fortunately, there are a number of companies that will scan large quantities of photos and put them on a disc or storage device for a reasonable price. I took a look at four services that get good user reviews and offer a range of services and prices. 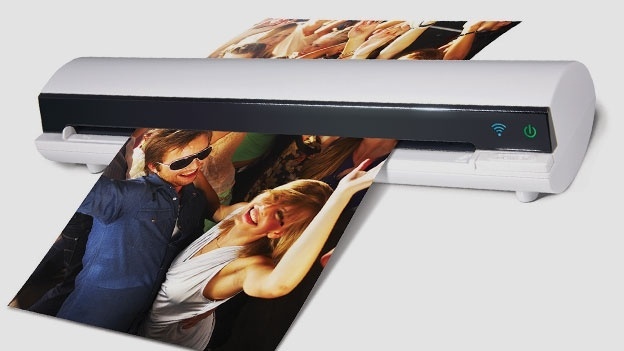 One services charges as little as 8 cents per print and another will work with photos mounted in albums. For an over view of each, check out my latest column at MyWell-Being.com. The iTunes store for Apple gadgets and the Google Play store for Androids are chock full of free or inexpensive apps that can help both novice and expert gardeners. For example, Garden Tracker will help you map your garden and choose the best crops for the space you have available. It starts with a grid that represents your plot. Tap on a square to choose a flower or vegetable from a scrolling list with a picture and description for each entry. The mapping process helps you avoid placement mistakes, like putting lettuce rows under the shade of corn stalks. The Beginner’s Gardening Guide is designed to get novice gardeners up and growing. It’s a collection of articles and images that starts with the basics, like good soil management, and proceeds through designs for vegetable and flower gardens and then on to plant and pest management. The app's design doesn't have a lot of sizzle, but the information it delivers is direct, useful and easy to comprehend. 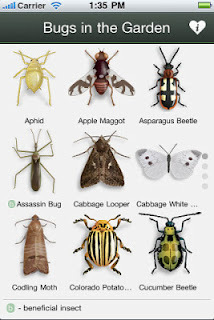 And Garden Bugs lets you identify who is chomping on your cabbage. The app has photos of hundreds of common garden pests and recommendations on how to make them disappear. In addition to insect invasions, the program also helps you diagnose plant diseases and offers treatment options. The Landscaper’s Companion is an encyclopedia of plants with entries for more than 26,000 vegetables, shrubs, trees and flowers. Each entry has a profile of the plant with information that includes its growing zone, growth rate, water and sun requirements, and its height and width at maturity. A couple of features can be especially useful for managing your own plantings. First, tag an entry as a favorite to identify plants that you already have or are considering, then use the note option to record comments or additional information. The app also lets you add photos of your own successes or failures. Garden Pro also has a large database flowers, herbs and vegetables with details on their preferred soil, water and light conditions. It lets you add photos, keep a journal and set a program that will give you pop-up reminders when your plants are thirsty or need fertilizer. I can recall the exact moment when I decided I wanted a keyless lock on my front door. It was the last time I had locked myself out and had to call someone to let me in my own home. I never liked the idea of leaving a spare key hidden somewhere outside. Nor was I enthusiastic about passing out keys to friends, pet sitters, cleaning services and the like. A keypad lock with programmable codes was the obvious solution. The onmly thing holding me back was the expectation that electronic locks were expensive and that I would need professional help to get it installed. Then I discovered the new SmartCode deadbolt lock from Kwikset, a keypad lock that has everything I wanted. It promised to be easy to install and program, it supports a second access code, and it was affordable. Installation turned out to be smoother than I expected. The SmartCode lock fits the the standard holes for any conventional deadbolt lock and I encountered only one minor issue in my old door. The Kwikset cylinder that holds the bolt was slightly larger than the one I removed, requiring a little work with a one-inch drill bit. Once that problem was solved, I had the complete lock installed in about 20 minutes. Programming was also fast and easy. Just push one button, enter between four and eight digits and press the Lock button. The system also has a switch that will automatically relock the door 30 seconds after it's been unlocked. The SmartCode lock has a handsome metal keypad and lock on the outside that comes in three finishes: satin nickel, dark bronze or polished brass. The inside housing has a plastic cover that's colored to match. The system runs on four AA batteries that power the lock motor and also light the keypad buttons, a feature you'll appreciate when you arrive home after dark. The lock sells for less than $100 at home improvement stores and at amazon.com. Kwikset also has a version that has a hand lever and a step-up version that communicates with the Z-Wave home control system. I had to check out the Over app after a feature story on its developer appeard on the front page of this morning's Courier-Journal. The article told how Aaron Marshall convinced his pregnant wife to let him spend their savings on an app that lets people put text over photos. The app lets you snap a picture or select one from your camera roll. From there you enter a block of text, choose a font from a list of options, and set the size, color and position of the type. Your labelled photo can then by emailed or shared over the usual channels. There's a free version in the iTunes App Store and a step-up version with more than 200 fonts that costs $1.99. Between the two versions, Marshall said Over had been downloaded about 1.7 million times. Yep, it's one of those "Why didn't I think of that?" ideas. It's tempting to view Kickstarter as an online store where you can find cool and unusual gadgets and place advance orders at discount prices. That's pretty much what attracted me to the website. 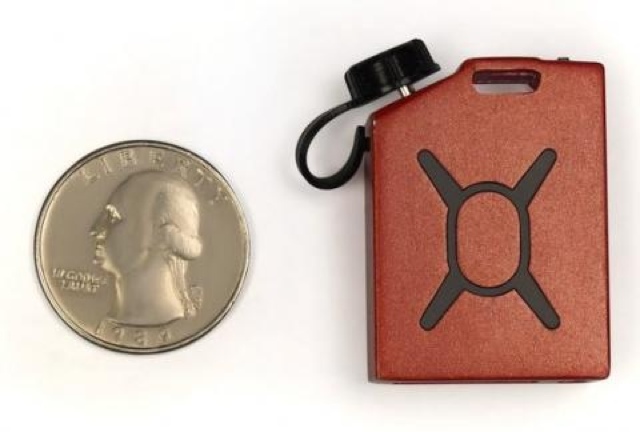 Browsing the listings recently, I found a phone charger that can fit on a keychain, a temperature sensor that plugs into a smartphone, and a device that turns a conventional speaker into a Bluetooth speaker. But Kickstarter says that would be missing the point. The website notes that Kickstarter is not a store and that backing a project is more than just giving someone your money. "It’s supporting their dream to create something that they want to see exist in the world. People rally around their friends’ projects, fans support people they admire, and others simply come to Kickstarter to be inspired by new ideas." Read more about Kickstarter in my column at MyWell-Being.com. 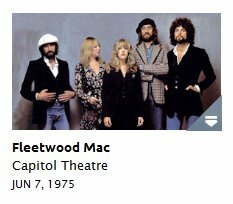 With three top-name acts from the seventies coming to the Louisville area this week -- Fleetwood Mac, Janis Ian, and Karla Bonoff -- it seemed like a great time to open the vault. I'm talking about Wolfgang's Vault. Wolfgang's website lets you listen to and sometimes watch thousands of concert recordings stretching back to the 1950s. 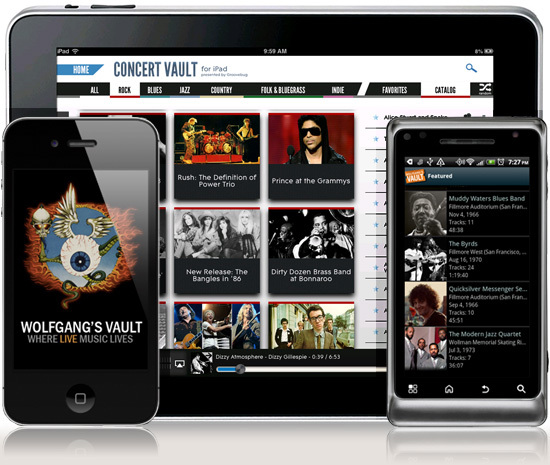 The Vault's archive contains about 4,500 concerts ranging across all genres from rock and blues to folk, jazz and country. 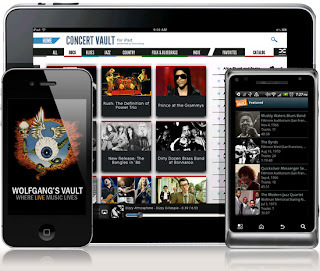 In addition to the web, the shows are also available on Apple and Android mobile apps called Concert Vault and now there's a new app specifically for Apple's iPad. The service charges a membership fee of $3.99 a month or $39.99 for a year. Members can stream concerts or individual songs and download two full concert downloads each week. New app users get a free 7-day trial to check out the service. You can hear Stevie Nicks' "Rhiannon" and "Landslide" on the 1975 set from the Capitol Theatre in Passaic, N.J. But long-time Mac fans will also appreciate hearing the Christine McVie numbers like "Sentimental Lady" and the Bob Welch tunes like "Hypnotized." Those are songs they are not likely to hear at the live show at the YUM! Center. 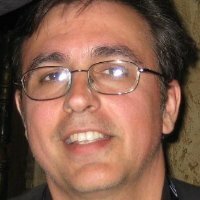 When I first met Andrew Prell in the 1990s, he was living in Louisville and pursuing his dream of building a virtual reality arcade game. By 1993 he had arcade games in several high-profile locations, including the MGM Grand in Las Vegas. But while his games never matched the popularity of Ms. Pac-Man or Space Invaders, his quest brought him into the orbits of several high-powered entrepreneurs. His company, Agora Interactive, counted among its backers Computer Associates founder Charles Wang and Nolan Bushnell, the legendary founder of Atari. Today, Prell divides his time between Louisville and Silicon Valley where he is the brains behind Startup Icon, a project that merges business and entertainment in a web-based competition that has been called an "American Idol for startups." I ran into Prell at the Consumer Electronics Show in January and caught up with him again last week at a Highlands coffee shop. He filled me in on his plans for the second season of StartUp Icon, which is currently lining up contestants for this year’s competition. The playoffs will start later this spring. You don't have to be an entrepreneur to participate. Anyone can sign up to try out the competitors' apps and products and provide feedback in the website forums. Once the playoff is under way, the audience can also get in line for gifts and prizes. To get more details about the show, check out my interview with Press at High Gain Blog. The organization that runs the annual Consumer Electronics Show recently asked its Facebook followers what was their favorite among all the gadgets they have owned. Most people said their iPad, iPhone, satellite radio or some other device from the past decade. My nostalgia for great gadgets goes much farther back in my memory banks. Some of my early electronic devices were my first kisses in what would be a 40-year love affair with gadgets and gear. Of course, they were all eventually replaced by something newer and shiner. I too love my iPad. But I'm also fond of several early gadgets that did their jobs well and earned their keep. My first computer is good example. While my friends went for the inexpensive Commodore 64 or the Texas Instruments TI99 in the early 80s because they were good for playing games, I saved up to buy the costlier Apple II+. As I recall, I paid about $1,200 with one floppy drive and no monitor. I wanted it because it could do everything. My daughter learned the alphabet playing Sticky Bear while I used a word processor and modem to write magazine stories and launch a newsletter. And it was still the best computer for playing games like LodeRunner, Choplifter and Wizardry. What else did I like? Do you remember Pioneer's Supertuner car radio? How about Mattel's handheld football game? Take a stroll with me down digital memory lane at MyWell-Being.com.